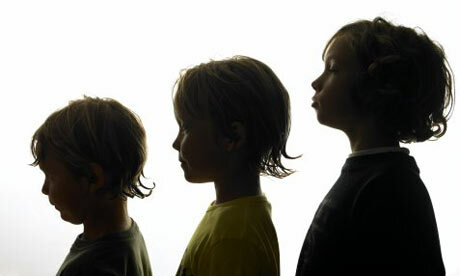 The order that you were born in relation to your siblings can be used as a predictor of traits and characteristics of your personality that are likely to develop. Each trait suggested aligns with aspects of common family dynamic patterns. Take the first-born child. They are often given the most responsibilities because as the oldest they are expected to step up into a leadership role. This may include babysitting the younger siblings or cousins. As the oldest they are also the “first” for everything. Being the first child to obtain a license means the first to have to help parents with running errands or carpooling. This natural responsibility falls upon the first born and causes them to become natural leaders. A leadership mentality translates into the workplace and social life. Next is the middle-child. This child has to manage the influence from the older sibling as well as the responsibility of the younger. Often they become a chameleon of sorts, stuck in the middle and learning to fall into multiple roles. They are often strong at handling mediation and conflict in the workplace and are able to get along with a variety of personalities in their social life. Finally is the last-born child. Sometimes, the last born can be over-shadowed by the older children’s more pertinent needs—helping a child with high school exams takes priority over playing with coloring books and board games. This creates an attention seeking child, for instance becoming a class clown. More so, the word “charmer” is often mentioned in regard to youngest children. Taking advantage of their position as the baby of the family the last-born child knows what it takes to get their way, even if that means using manipulation.